Hi, I'd think you could use our Headlight Kit (even though you wouldn't use the lights as "headlights"). It's a sweet little kit! 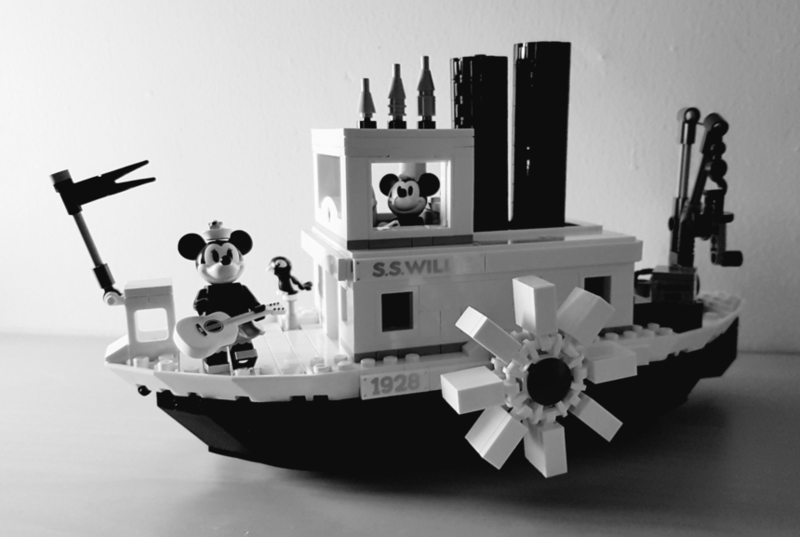 I'm curious, what kind of lighting would you use for Steamboat Willie? I look it and I think it looks good without lighting or just a big light over the whole thing, just what i think. It does look like an awesome set. Paul George I saw that some places have the kit for the Steamboat Willie and they lit up the wheel house and a few other places on the boat deck. I still think that the set looks good as is without the lighting feature, but that is my opinion. With this set I think that "Less is more" to stay more traditional to the cartoon. When I go to light up a set, I try to stay within the natural state of the object. For example, on the 1967 Mustang, I lit up everything but the reverse lights, because those would never come on unless you are backing up. Again, my opinion. Daryl Tan , if you get your kit lit up, could you please share, I would be interested in seeing how it looks.